The brain behind mankind’s greatest voyage. Designing a mission for a flight to the Moon requires balancing the demands of a wide array of spacecraft systems, with the details of tending each component generating complex and often contradictory requirements. More than any other system in the Apollo spacecraft, the AGC drove the capabilities of the lunar missions. Perhaps the single spacecraft component that assured the success of the Apollo lunar missions was its guidance computer. Created in the 1960’s when most computers filled an entire room, the Apollo Guidance Computer was small, required little power, and included capabilities that are advanced by today’s standards. When compared to modern computers, the AGC’s design limitations and lack of speed presented formidable challenges. Yet, hardware and software engineers overcame these difficulties, and their creation was able to guide a new and complex spacecraft and its precious human cargo away from the safety of Earth and towards a new world. The Apollo Guidance Computer: Architecture and Operation is the first comprehensive description of the Apollo computer, beginning with its internal organization to its user interface and flight software. Particular emphasis is placed on the instruction set, Executive capabilities, the Interpreter and the detailed procedures for mission application software. Launch, landing on the Moon and entry back on Earth are explained in rich detail and show how the computer was an integral part of the spacecraft operation. 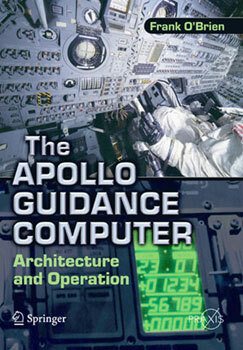 The Apollo Guidance Computer: Architecture and Operation is an essential reference for space historians and engineers, and serves well as a complementary text for computer science courses.